Large 4 compartment jewelry box, 3 drawers and one large upper compartment under the hinged lid. 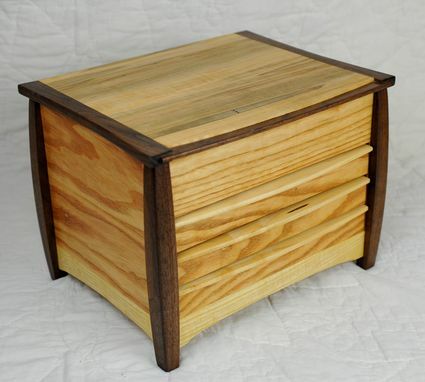 The bodypictured is KY Coffee Tree with Walnut legs and top trim and an Ambrosia Maple lid . All drawers and top compartment are felt lined. 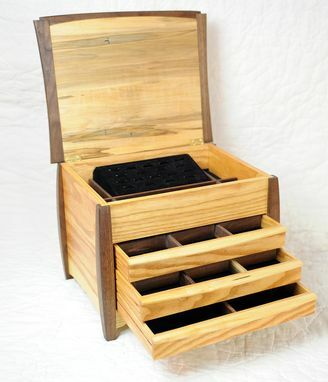 All compartments have dividers and there is also a ring holder in the top compartment. All are removable if needed. 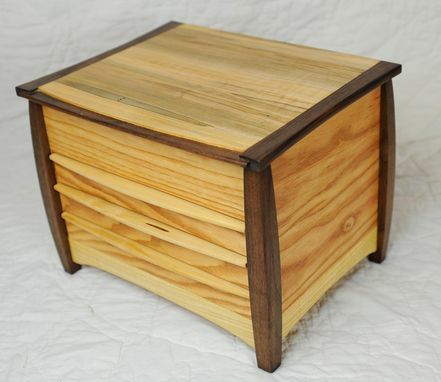 Box is available in many different wood combinations.